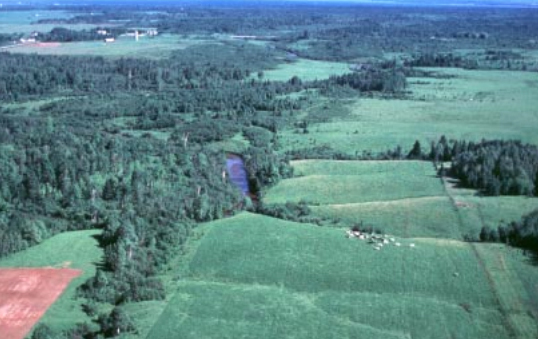 Kalkaska soil landscape in Michigan; photo from USDA: State Soils. Kalkaska soil occurs in both the upper and lower peninsulas of Michigan. it is used primarily for sugar maple and yellow birch hardwood timber, and sometimes for Christmas trees and specialty crops such as potatoes and strawberries (as well as for wildlife habitat). Kalkaska soil was formed in sandy deposits left by the glaciers that once covered Michigan.